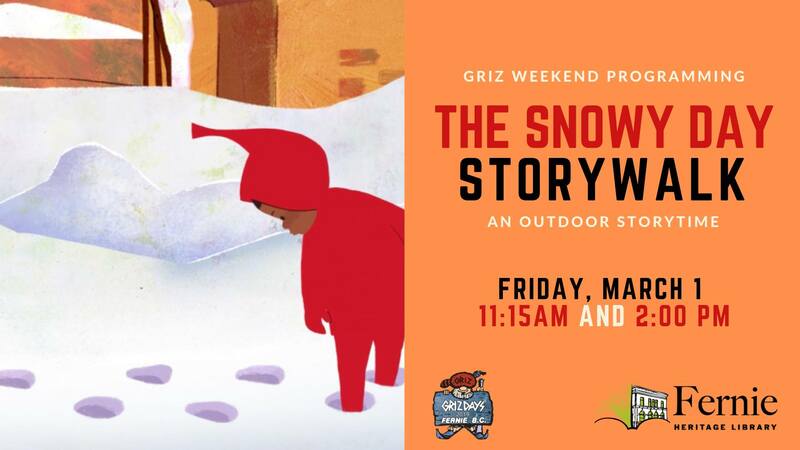 Let's explore “A Snowy Day”(by Ezra Keats) outside in the Fernie Library garden. An interactive story experience for babies, preschoolers and their families. Please dress to be outdoors! Hot chocolate provided after our storywalk. Please meet in the library garden at 11:15am and 2pm.